A rack of lamb (8 ribs if left whole) is a great cut for two people, a way to have a "roast" but not a ton of leftovers. Depending on the size of the rack and your appetites, one rack makes two very generous servings of lamb -- you may have leftovers if the rack is large or your appetites are light. The sauce is based on a recipe from Martha Stewart Living magazine several years ago. The tang of lemon juice and capers balances the rich lamb, and the mint and parsley bring a fresh note to this elegant dish. Aphrodisiac Notes: The key aphrodisiac properties found in lamb are high concentrations of zinc, iron and B vitamins. Plus, lamb is an especially good source of quality protein with easily absorbed zinc and iron. The recommended daily value provided by a three ounce serving of cooked lamb is 30 percent of zinc (essential for growth, tissue repair, and a healthy immune system) and 17 percent of iron (needed for the formation of red blood cells). Lamb is rich in B vitamins, especially B12 of which it contains 40 percent of the recommended daily values. Trace elements such as copper, manganese and selenium are also found in lamb. One serving can provide 74-100 percent of the daily requirement for vitamin B12, which is essential for the body's metabolic reactions and helps reduce the effects of stress on your body. Lamb is also nature's best source for an amino acid called carnitine, which is needed to generate energy from fatty acids. The monounsaturated fatty acid called palmitoleic acid, found in lamb, possesses strong antimicrobial properties. Plus, unsaturated fat, which is good for you, makes up for half the fat in lamb. 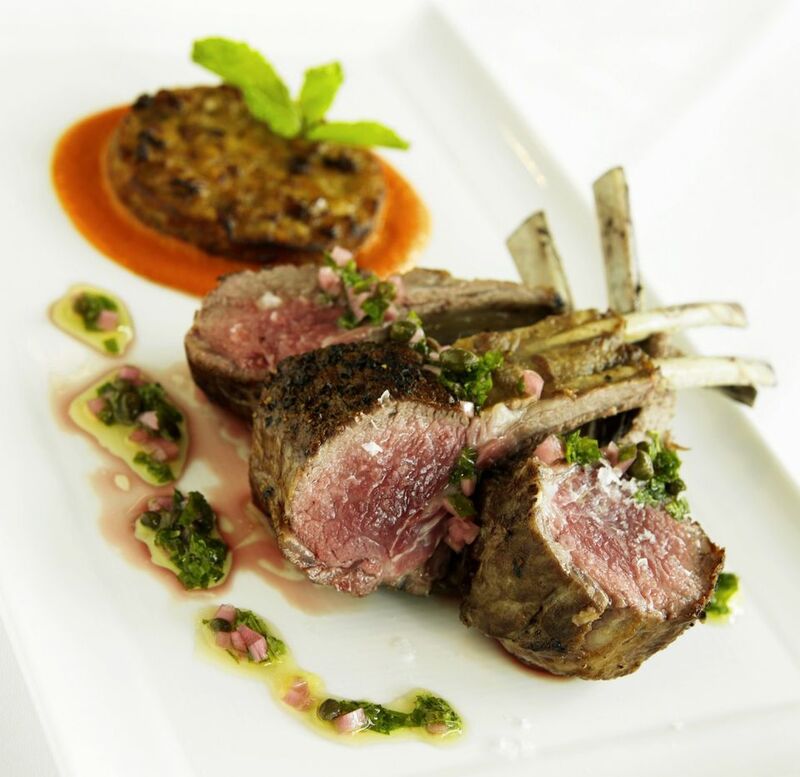 Overall, lamb is an excellent entree in any aphrodisiac-based meal. Salt the lamb on all sides. Heat a large, heavy skillet with enough oil to coat the bottom of the pan. When the oil shimmers, add the lamb and brown well on all sides. Use tongs to hold up the rack so you can sear the ends and top edges of the rack. Set the lamb aside on a rack placed in a baking sheet. About 20 minutes before serving, place the rack in the oven and cook until lamb reaches 140 F for medium rare. Remove from oven and let rest for five minutes before slicing into double chops. Heat the olive oil in a small saucepan or skillet just until it shimmers. Add the shallot and garlic and cook over medium-low heat, stirring occasionally, for about five minutes. Turn the heat to low and add the lemon juice, zest, and capers. Just before serving, stir in the mint and parsley. Spoon the sauce over the lamb chops and serve immediately.